99 cards. Includes even numbers from 2-198. Odd numbers found in Series 1. 108 cards. Inserted 1:1 packs. 3 cards. Inserted 1:96 packs. 4 cards. Inserted 1:48 packs. 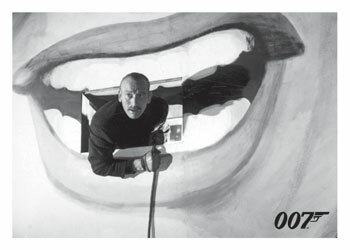 2012 Rittenhouse James Bond 50th Anniversary Series 2 trading cards continue to honor five decades of the super spy's movie history. The 99-card base set fills in the gaps of Series 1, which only included odd numbers. 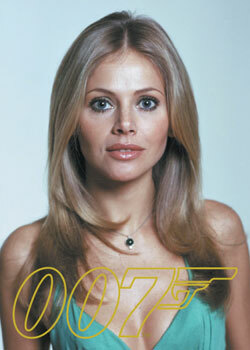 Put together, both sets make a comprehensive look at the first 50 years of Bond films. Base set parallels also return at a rate of 1:3 packs. 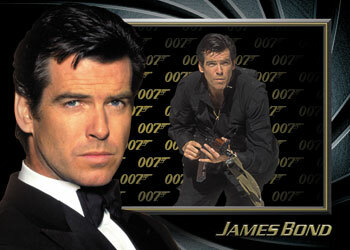 Most of the inserts in 2012 Rittenhouse James Bond 50th Anniversary Series 2 carry on from the first series as well. Gold Gallery (18 cards, 1:12 packs) focuses on strong character photographs. Gold Foil Plaque Cards (11 cards, 1:12 packs) honor each film with a lot of shine. Shadowbox Cards (three cards, 1:96 packs) are a three dimensional look at the actors who have played the iconic role. 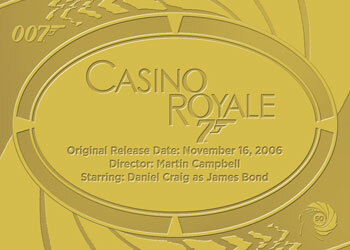 Daniel Craig, Pierce Brosnan and Timothy Dalton are included in this wave. From Russia with Love is a 108-card vintage-style set in the same vein as the Dr. No cards from Series 1. The cards use traditional card stock and mimic what a set from the 1960s would be like. Included one per box, Skyfall is a nine-card preview set of the latest Bond film. Autographs fall three per box. The big inclusion is Halle Berry. These are her first-ever autograph cards. Other signers include Daniel Craig, Roger Moore, Gemma Arterton, Sean Bean, John Rhys-Davies, Richard Kiel and Honor Blackman. 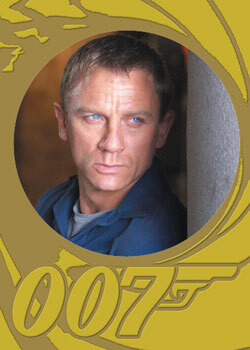 Every case of 2012 Rittenhouse James Bond 50th Anniversary Series 2 comes with a Skyfall Movie Poster card. 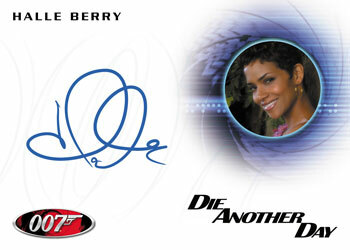 A relic card featuring a piece of the interior from Franz Sanchez's plance from License to Kill (#/333) is the three-case incentive. 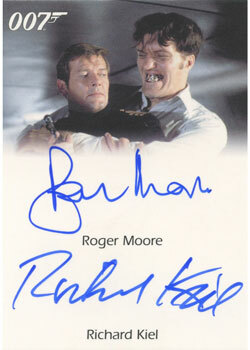 Those ordering six cases get a dual autograph of Roger Moore and Richard Kiel. Those ordering 18 cases get an Archive Box. 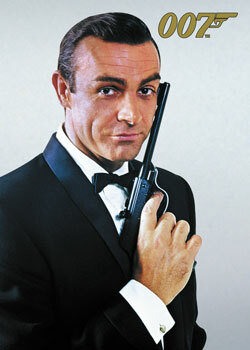 Hey Ryan, I am a huge James bond fan, especially Daniel Craig’s version. I am looking to get into collecting the relic costume cards. what are all the letter before the numbers. example ( QC19). how many sets are there. ! set for each movie, skyfall, quantum, etc. any information would be helpful.